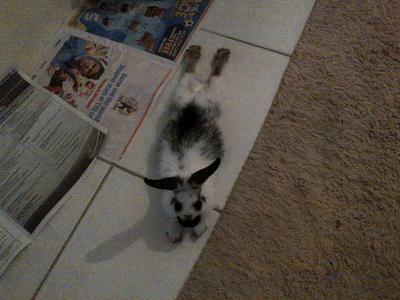 We have two rabbits, blizzard and bella and they are roughly 3 mths old now. 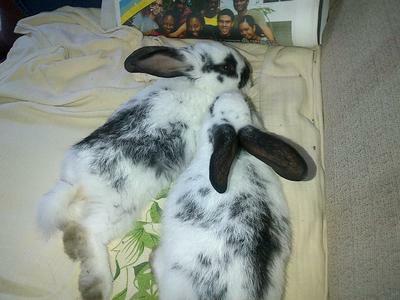 They are very friendly, playful, lively rabbits and love to cuddle when playtime is over. 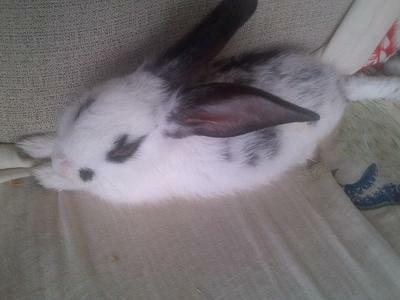 However, we are unsure of what breed they are and would love any suggestions, their colour seems similar to the english rabbit, but the pattern is not 100%.